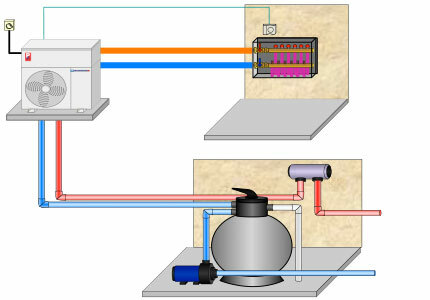 Over half of the systems we install are COMBINATION SYSTEMS. It makes great sense to heat your Floor and Swimming Pool with a Dual Purpose Heatpump or Gas Boiler. There is only one unit to maintain and it’s the right choice to benefit from the low running costs of an energy efficient heatsource such as a Heatpump or Gas Condensing Boiler to heat multiple applications. 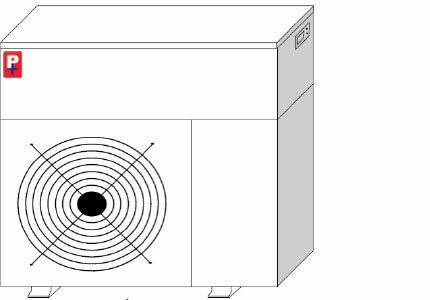 Dual Purpose Models Heatpumps have two TITANIUM heat exchangers specifically for heating two separate water sources – one for heating the floor and one for heating the salted/chlorinated pool water for example. Both water systems are separate and not cross-contaminated but both run through one unit. 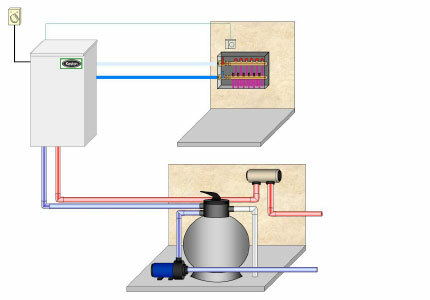 Dual Purpose Gas Condensing Boilers are also an efficient way to heat both a Floor and a Pool. The benefits in using gas to hea your pool is that you are able to heat your pool quicker as a boiler can provide 25kws of heat for example and is a much cheaper alternative than buying a 25KW Heatpump If you are restricted on space using Gas to heat your pool is a good option.. A swimming pool can be heated from very quickly using the high kws provided by gas although the running costs are slightly higher than with a Heatpump based system.